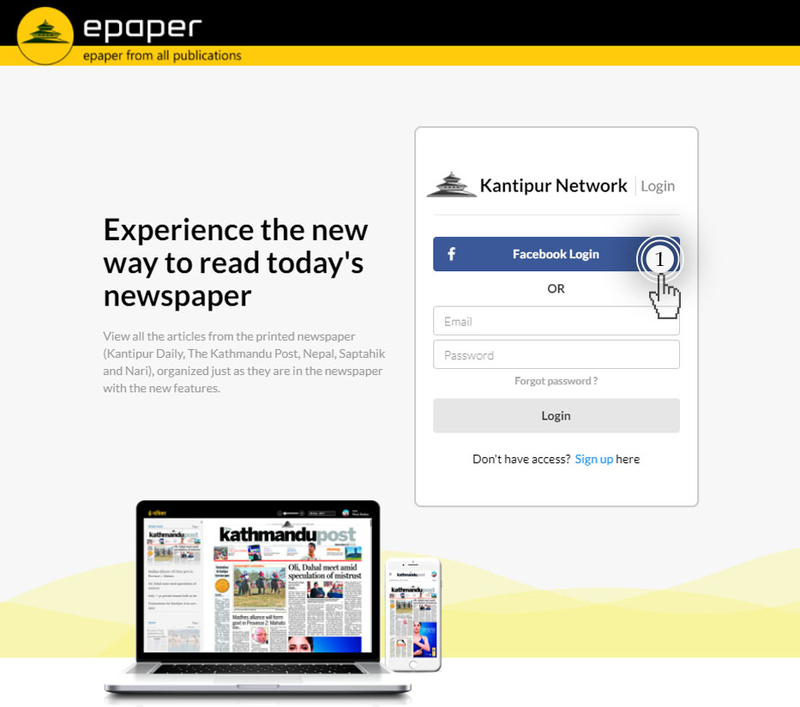 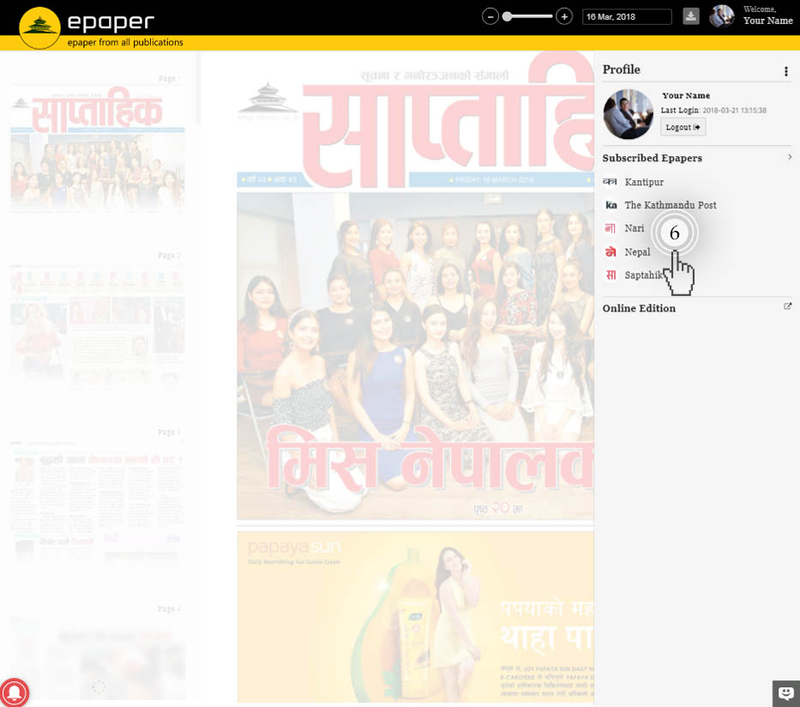 Epaper of all newspapers & magazines published by Kantipur Publications (Kantipur Daily, The Kathmandu Post, Nari, Nepal & Saptahik) are available in one-spot. 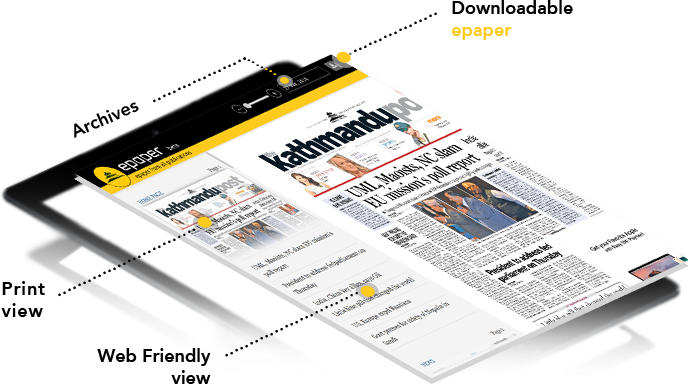 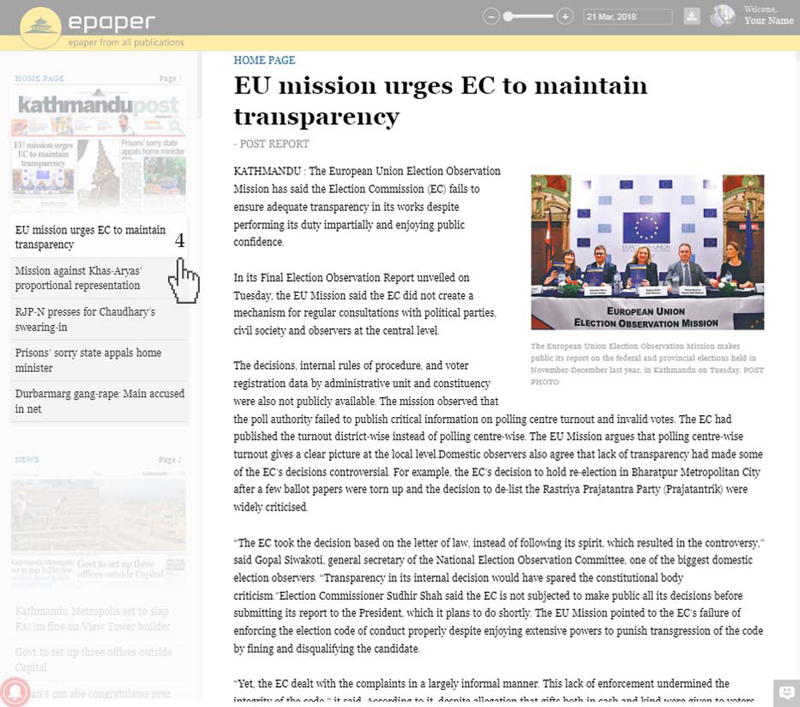 A high-resolution print view and web-friendly text view of all articles from newspapers & magazines published by Kantipur Publications. 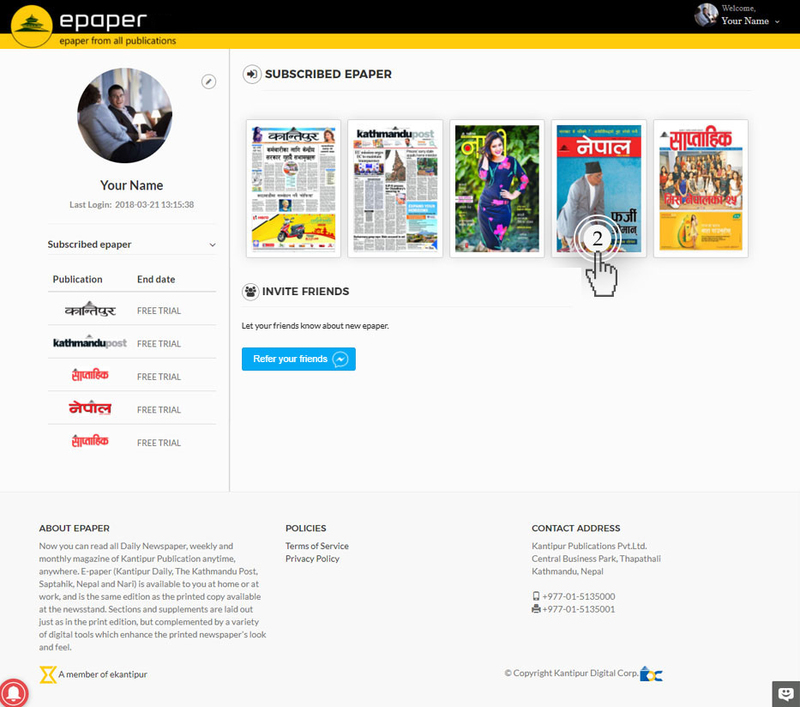 A great place to search the archives of all newspapers & magazines from their inaugural issues. 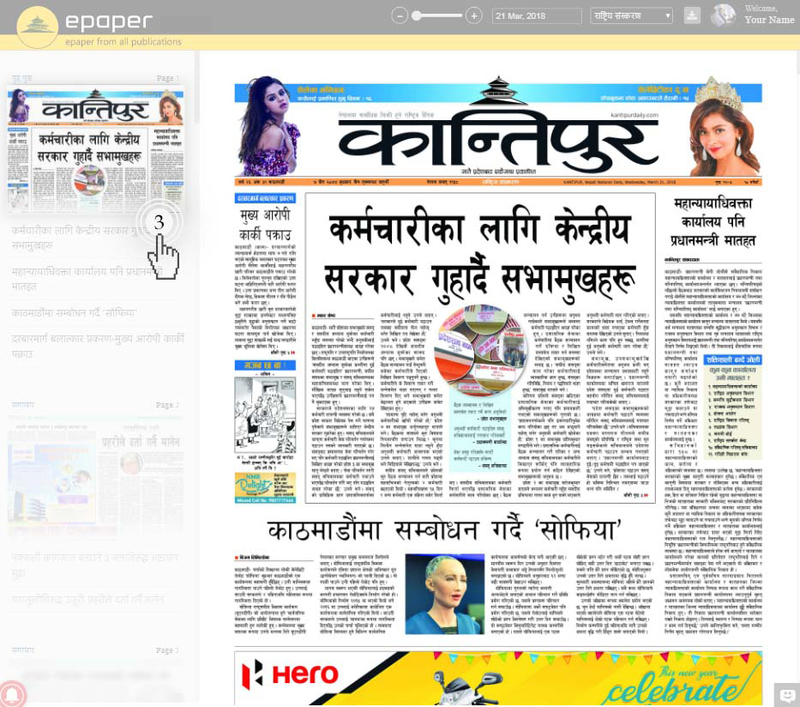 Download epaper in high-resolution PDF and read on your tablet, smartphone, desktop or laptop anytime.